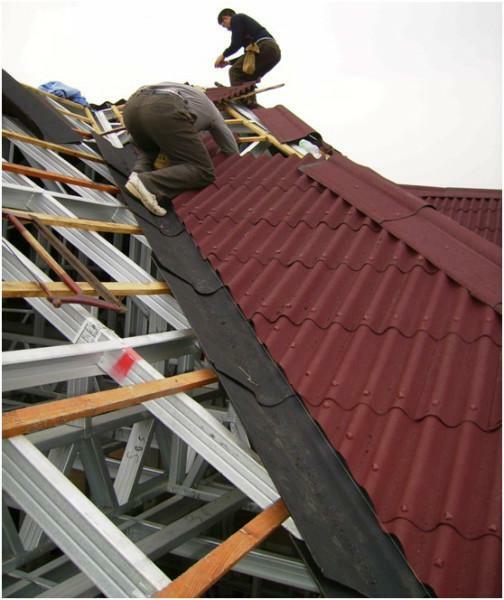 Corrugated is the traditional and familiar S-Rib profile for roofing and cladding applications. It is the oldest and most commonly used roofing profile because of its easy handling and fixing properties and related strength. The S-rib is derived from sinus curve and offers very strong and structural properties. Corrugated roof sheets are available in a wide range of materials displaying various structural properties. It should be noted that the load span characteristics are only to be used as a broad guideline, as purlin spacing is also dependant on other factors such as the prevailing winds in a particular area, snow during winter periods, the presence of dust and other particles in industrial areas, the type of structure that is being erected, etc. We therefore recommend that an engineer be consulted to determine the purlin spacing for a specific application.